Fact is, I wanted to save visiting Boracay with someone special, but it never did happen. One of my boyfriends had been there, another didn’t like the touristy vibe of the island, while another was always unavailable for travel. So when cheap flights became available last month, I figured I had better visit Boracay before I’m old and gray. If I could visit Santorini as a solo traveler, why not “one of the world’s best beaches”? It was time for me to see what the fuss is all about. 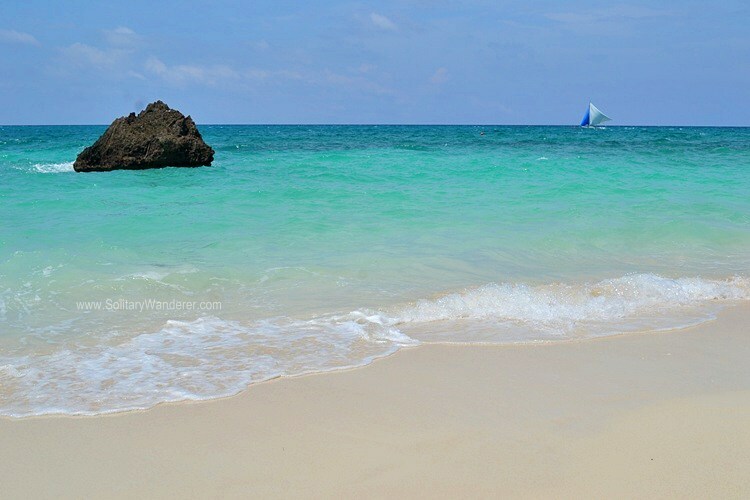 The beautiful colors of Boracay. Travel magazines have called Boracay one of the best beach destinations in the world, and the award was, in a way, well-deserved. The fine, powdery white sand of White Beach, coupled with amazingly clear light blue and green waters certainly meet anyone’s definition of paradise. That is, if you can empty it of people. There are so many people in Boracay now that even during off-peak season, you would still find it hard not to bump into someone when you’re walking along White Beach. There’s a constant stream of people walking on the beach, going in and out the bars and restaurants, buying souvenirs, or taking pictures of each other. At night, it gets even more crowded. Indeed, given the number of bars, restaurants, and other establishments in White Beach, it’s easy to forget the sea is just a few meters away. If you weren’t traipsing on sand, you would think you were in Malate in Manila. If you’re a budget traveler and into all-night partying, definitely stay either in Station 2 or 3, where the hostels/hotels are just a few meters away from the bars. Even if you get too drunk, you can easily crawl back to where you’re staying. The view from my room in Microtel. 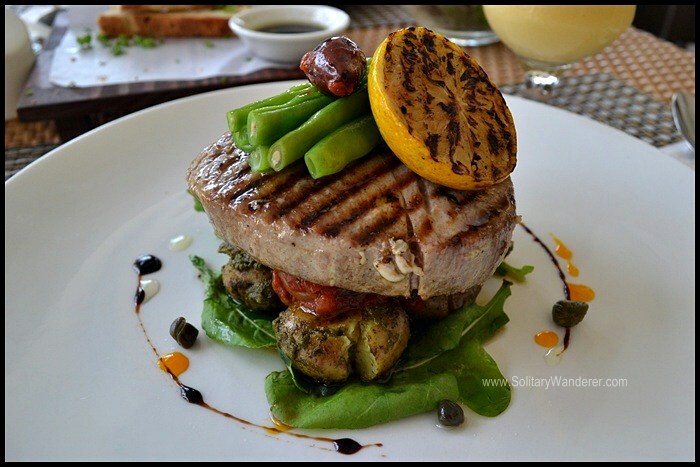 Delicious grilled tuna in Mama’s Fish House. For the well-heeled travelers, Station 1 is where all the pricey hotels are. Depending on where you choose to stay, it can be accessible to the nightlife in Station 2 without being too isolated. However, if, like me, you’re after a bit of quiet without the hefty price tag that goes with it, staying in Diniwid Beach is perfect. It’s 20 minutes to Station 2 by shuttle but only 10 minutes if you walk along the beach. A local on the pathway to Diniwid. I stayed at Microtel Inn & Suites by Wyndham in Diniwid. 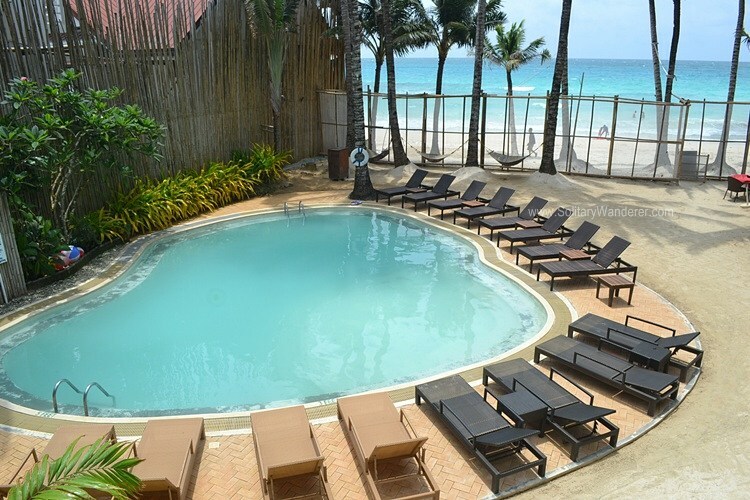 It was beachfront, had a swimming pool, and was also accessible to “downtown” Boracay with its hourly shuttle service. I had isolation and quiet + beachfront + sunset views all in one. Perfect! 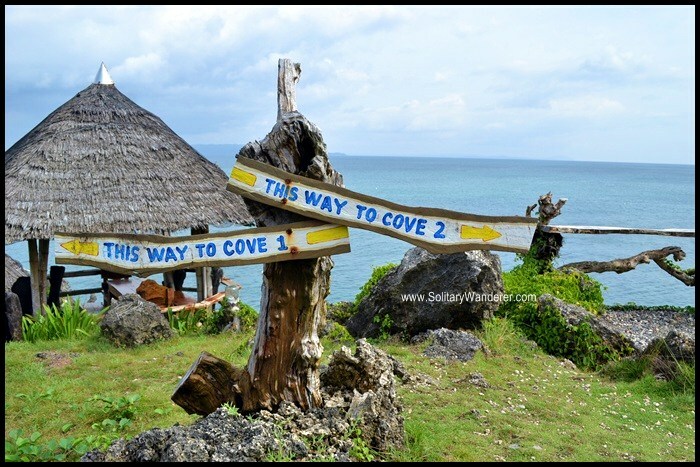 Search for other hotels in Boracay as well via Agoda. In Boracay, as in other island destinations in the Philippines, solo travelers get the short shrift. Packages are usually offered per group, and it can be hard to find a group to just join in (which is why I loved El Nido, where the pricing of island hopping tours was per person, not per group). The Keyhole can be seen during the tour. My Boracay Guide, for example, offers a three-hour island hopping and snorkeling tour in Boracay for only P3,000 for up to six persons. That’s only P500 per person for a group of friends, but a whopping P3,000 if you’re alone. Crystal Cove is part of the tour by MBG. Your best bet as a solo traveler would be to cozy up to other travelers in the area and hope that (1) they want to go island hopping too, and (2) they would want you to go with them. I really recommend you take the island hopping and snorkeling tour. The underwater world of Boracay is amazingly varied. 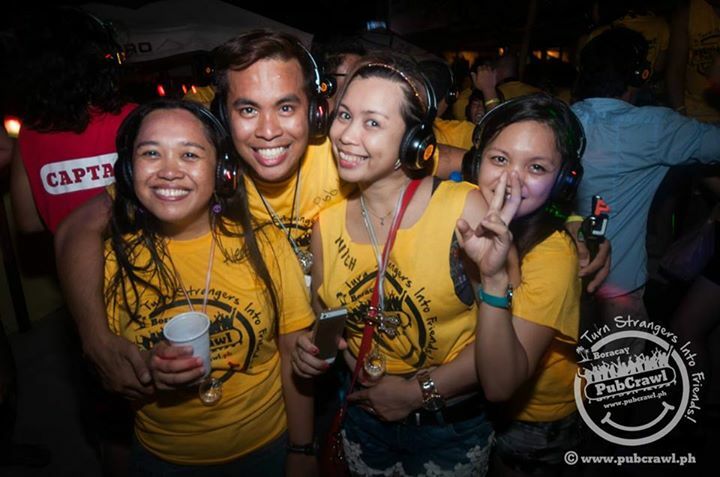 If you’re the partying kind, you can also join the Boracay Pub Crawl. For P690, you get to go bar hopping with 30 or so other people and have at least five free shots, one per bar that you visit. Their tagline “Turning Strangers Into Friends” is true enough. Once you’ve had a few shots, everybody becomes your friend! …or at least, drinking buddies. During the day, you can also just buy a drink, sit on the sand, and watch the crowds go by. It’s lovely to people watch in Boracay, you get to see so many characters. And of course, the view is priceless! Boracay is a good place to enjoy your own company and unwind from the pressures of work and city life. It is also just as awesome when it comes to making new friends and world connections. 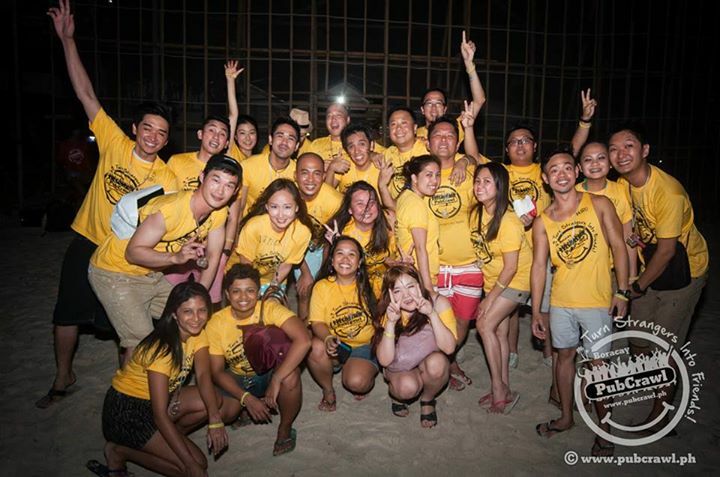 It is in Boracay, through the top-rated Boracay Pub Crawl, that I got to know Rohima and Rahul from India, Andy from Sri Lanka, Jamie from La Union and a whole bunch of other new friends who I still keep in contact after Boracay. So whatever mood you’re in, an anti-social Twilight female protagonist mood or a Van Wilder, Party Liaison, kind of mood – there will be something for you in Boracay. For me, at this time, I think Boracay is best for lovers and friends. Of course, it can be for solo travelers, too, but only for those who are more outgoing than I am, who would not think twice about chatting up a stranger in a bar or a restaurant. Have you been to Boracay by yourself? How was it? Do you think it’s a good solo travel destination? 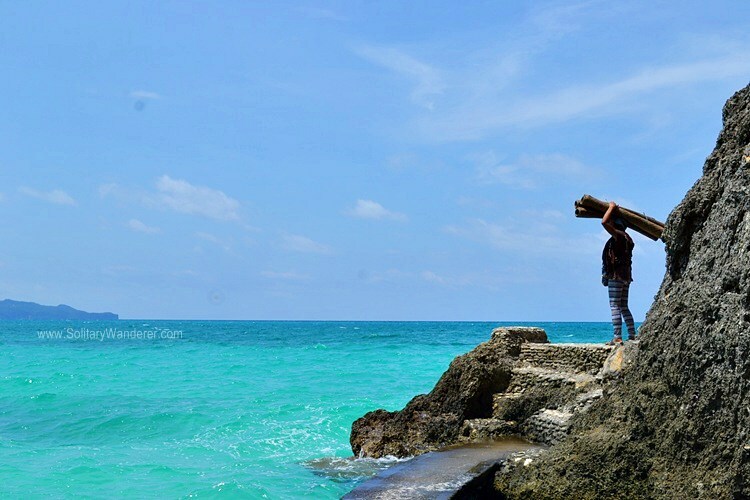 Hi Aleah, nice article…I’ve been to Boracay 3 times with group of friends and next year I will be travelling solo…i was actually searching for activities for solo travellers to Boracy and I found your article…at least it gives me idea on what to do.. I have never been to Boracay but your post and photos got me for sure dreaming … maybe one day . I know it’s sad that most part of White Beach has become overbuilt and crowded. The last time I was there, I was glad that Station 1 was stil tranquil and the beachfront was still lovely. All in all, it’s stil a charming island. i actually been in boracay pero marami kami masaya naman,..kaya lng ndi ako maxado nakapg libot,..sana next time ma enjoy ko nman. Oh, sigh. It’s been so long since I’ve been to Boracay – it looks as beautiful as I remember. I know that it’s known as such a touristy place, but we had a wonderful time there anyway. The beach was just so beautiful! 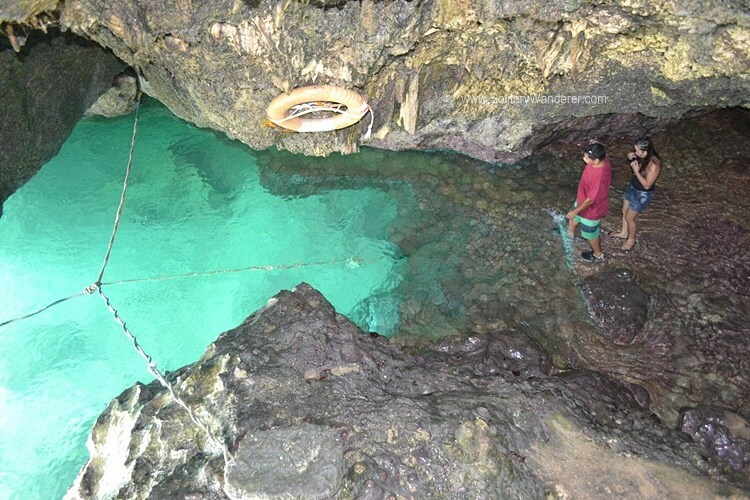 Your initial description of Boracay left me with the feeling that it was probably not the place for nature loving eco-tourists, until you got to the underwater part. Now, I’m intrigued. Would love to go. And would very much follow in your footsteps. Although, as veggies, we’d give the tuna a miss. The Philippines, being an archipelago, is known for its delicious, fresh seafood. Too bad, being vegetarians, you’ll miss that! Anyway… I’m also an introvert and Boracay brought out my inner Ms. Congeniality and Ms. Party Girl. During the day, I would wander along the different stations alone and at night, I was out partying with my friends from the hostel. 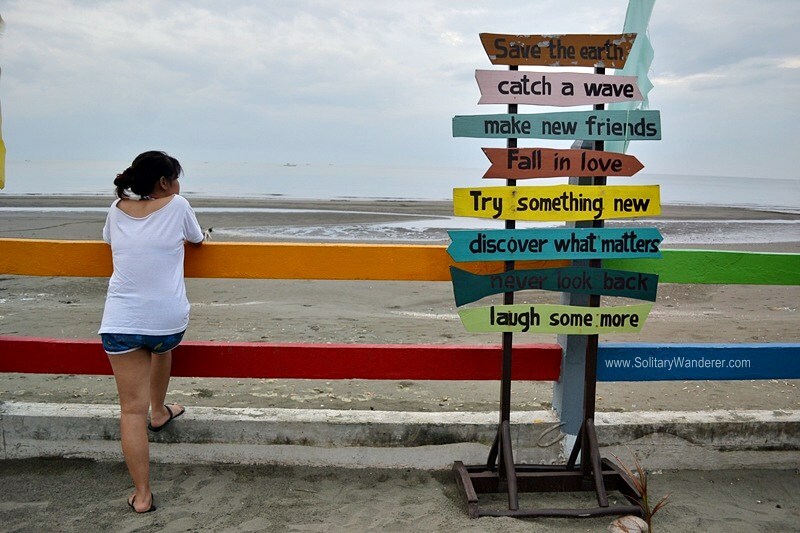 I might try going to Boracay with friends in the future but my trip totally made me want to travel more with me, myself, and I.
great tips! I’d assume that for most families, there are many other places that would suit better? Families love it here, Jessie. There are lots to do! Boracay is a favorite place of mine too and experienced visiting it with family, friends and solo (not for long… I end up seeing familiar faces within hours of arrival!). For solo travelers who wants to meet more people, better stay in a hostel. I personally recommend Frendz Resort located at the middle of Station 1 & 2 (uhm… just look for the sign haha not sure which station thaat hostel falls) and Boracay Treehouse in Station 3.5 (yep, that far.) Staff on both hostels are nice and friendly especially the first one I mentioned. I spent seven weeks in the Philippines last year and fell head over heels in love with the Visayas. Bohol, Panglao, Malapascua, Iloilo, Boracay, Dumaguete, Siquijor and then back to Panglao. Needless to say: It is a beautiful country inhabited by marvellous and amazingly friendly people. Boracay was the place we liked the least of all these. It is overcrowded, annoyingly expensive and the beach may have been very beautiful once upon a time, but today it has no charm whatsoever in our opinion. We stayed only three days and were happy to leave for Negros. 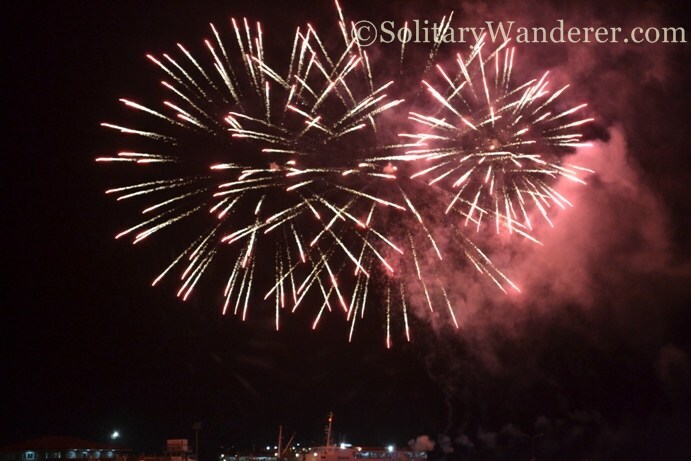 Of the seven countries we visited in nine months the Philippines was a top three destination. Love it! I purposely avoided Boracay when I traveled solo in the Philippines. I am not a huge beach person anyway. I am sure I would enjoy Boracay for a day or two, but then would be aching for a jungle or a mountain. Hi Ted! 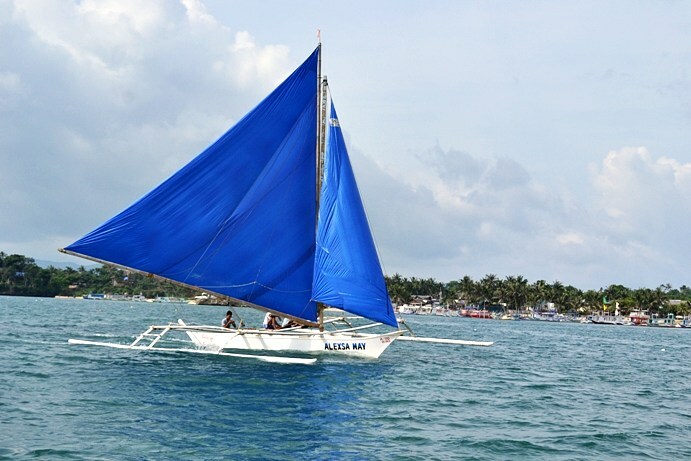 I’m more of a beach person, so I loved Boracay’s watersports. But not much into the nightlife, which is why I didn’t enjoy it as much on my own. I visited Boracay 2 months back and I enjoyed. I gave boracay a try because I got tired waiting for friends and families to be available (which is soooooooo not happening..not until next year, maybe?) I agree that it is still crowded even its off peak. I met 5 random facebook friends on my 8day stay. It was awesome! Although I enjoyed my alone time, I think its best to visit with the family. Nice post, Aleah! Glad to know you also agree with me. I actually saw friends there, but they were together, and I was just singit, so I really felt out of place. Looking forward to go back, both alone (to test my findings now) and with friends/someone special someday. There shouldn’t be an off season to the beaches in PI esp Boracay. We just got back home from PH. and all the times I travelled there still haven’t been to Boracay. Think I’ll plan for it next trip. Only not solo, bringing the whole family. Gonna share your blog on FB. So where are you running the next marathon? Hey Dan! I was hoping to run the Condura 42k (Feb 2015) here in Manila, but there’s a conflict in schedule. Hopefully there’s a good one between March to June as I’m leaving for South America in July 2015. 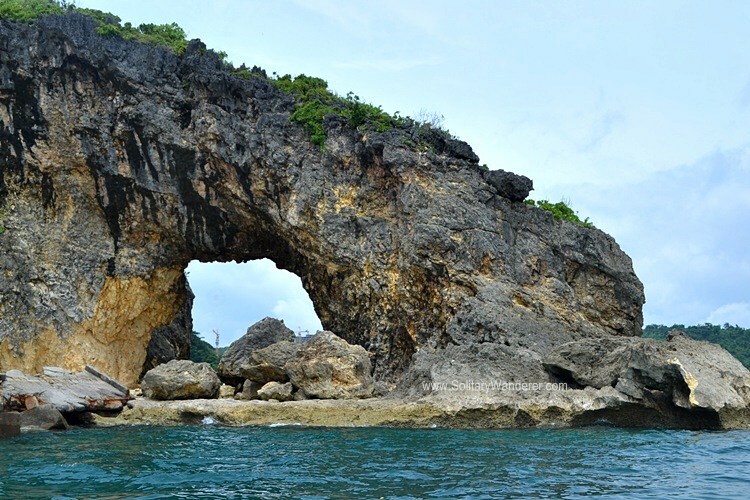 Re Boracay, go during off-peak season, as it can be totally crazy during peak season. Or choose hotels in quieter places like Diniwid.